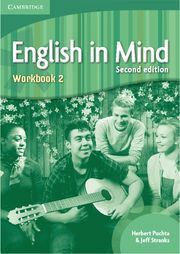 An engaging, 8-episode drama entitled Free Time features the continuing characters from the American English in Mind Student's Book experiencing teen life. Each video episode can be shown in class with the Student's Book's related photostories. The episodes are also available on the Student's Book DVD-ROM along with additional related speaking and listening exercises. Optional subtitles are also provided.